She Inspired Her would like to forward this invitation to our dedicated readers for a great event that we think you may like to attend later this month! 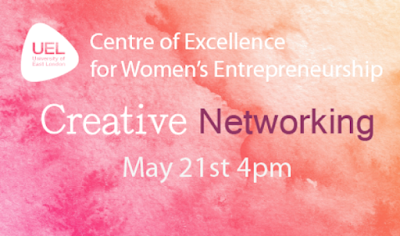 The Centre of Excellence of Women's Entrepreneurship are inviting business women and entrepreneurs like yourselves to attend an afternoon of creative networking, delivered by 'Open to Create'. Excellence of Women's Entrepreneurship from 4pm. 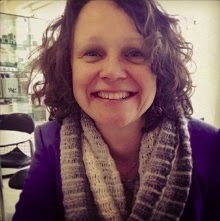 Anna B. Sexton, Founder & Director of Open To Create... is Entrepreneur in Residence atLondon South Bank University Department of Research, Enterprise & Innovation, a speaker and facilitator for University of East London Centre of Excellence for Women's Entrepreneurship (CEWE), PhD tutor in Reflective Leadership and Grade One Ofsted lecturer and tutor for Idea Stores Adult Learning. Anna B. Sexton is a trained creativity coach (Performance Management/Cultural Leadership Programme), an enterprise mentor (IOEE) and Self Esteem Enhancement mentor (More To Life/Kairos Foundation). Open To Create... offers bespoke learning programmes, workshops and 1:2:1 coaching for creative, cultural and heritage leaders and managers in art galleries, museums, local authorities, universities, heritage and cultural institutions.